Enclosed is the soundtrack to the (dystopian??) future. 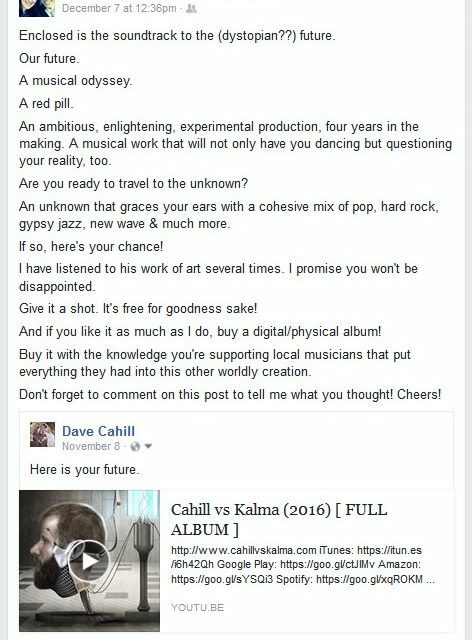 | DAVE CAHILL | Singer, Songwriter, Producer, Dissident. Enclosed is the soundtrack to the (dystopian??) future. Enclosed is the soundtrack to the (dystopian??) future. Our future. A musical odyssey. A red pill. An ambitious, enlightening, experimental production, four years in the making. A musical work that will not only have you dancing but questioning your reality, too.Are you ready to travel to the unknown? 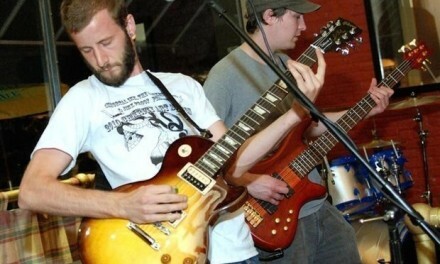 An unknown that graces your ears with a cohesive mix of pop, hard rock, gypsy jazz, new wave & much more. 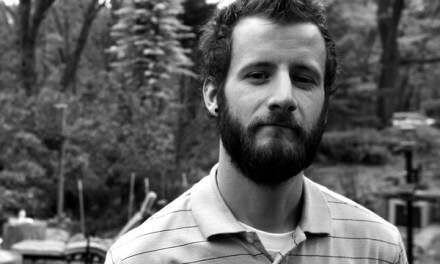 I have listened to his work of art several times. I promise you won’t be disappointed. Give it a shot. It’s free for goodness sake! And if you like it as much as I do, buy a digital/physical album! Buy it with the knowledge you’re supporting local musicians that put everything they had into this other worldly creation. Don’t forget to comment on this post to tell me what you thought! Cheers! 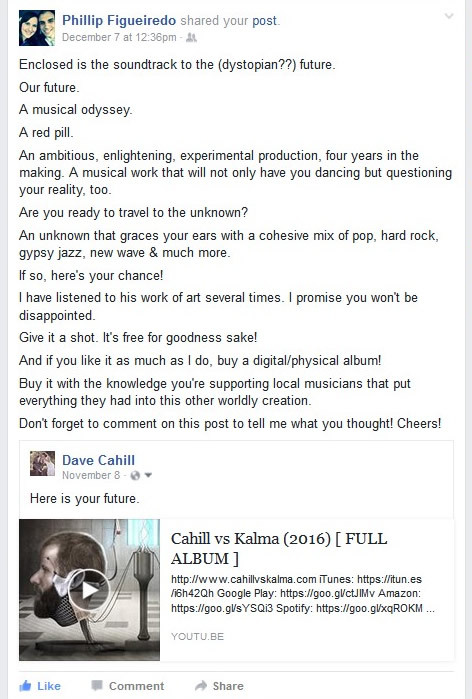 NextListen to the full album by Cahill vs. Kalma on YouTube for free!